Harry hails from Rochester, NY, where he developed an appreciation for the outdoors adventuring and travelling with his parents and two younger brothers. 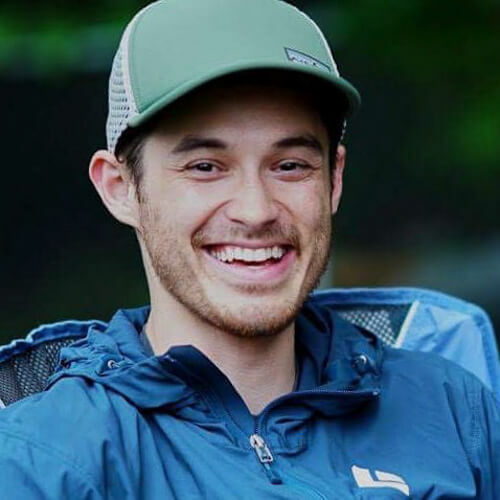 After a number of years working for Eastern Mountain Sports and as a whitewater kayaking instructor, he’s excited to join CRG and share his love for climbing! Like so many others, Harry’s first taste of climbing was at a climbing gym, and they’re now his home away from home. He’s been climbing for 8 years now, and absolutely loves getting on long multi-pitch routes up huge walls! When he’s not pulling on climbing shoes, you might catch him on the river in his whitewater kayak, or clicking into skis for a powder lap.